Letter from the Cripple Creek Guide Co.
Letter to Charles S. Sweet, Secretary to George Pullman, asking for attention to an earlier letter/request. 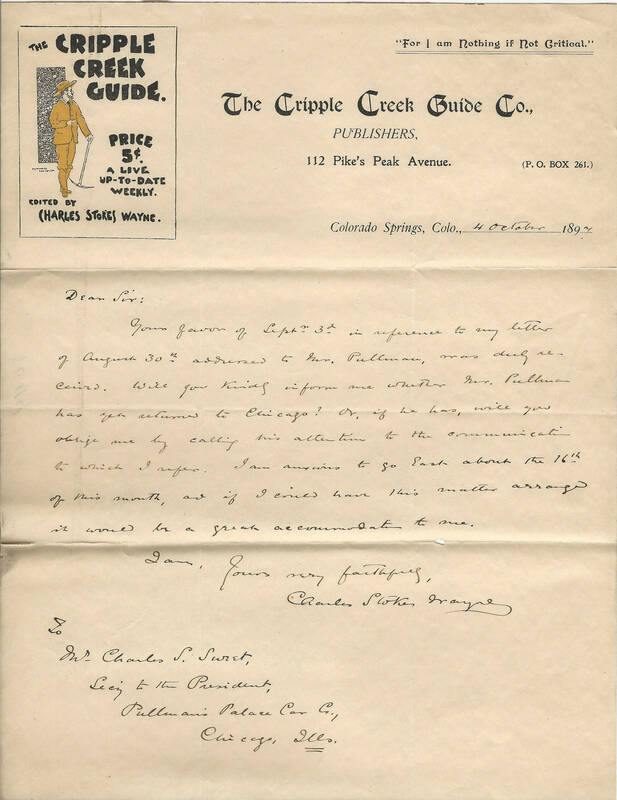 Title Letter from the Cripple Creek Guide Co. Description Letter to Charles S. Sweet, Secretary to George Pullman, asking for attention to an earlier letter/request.